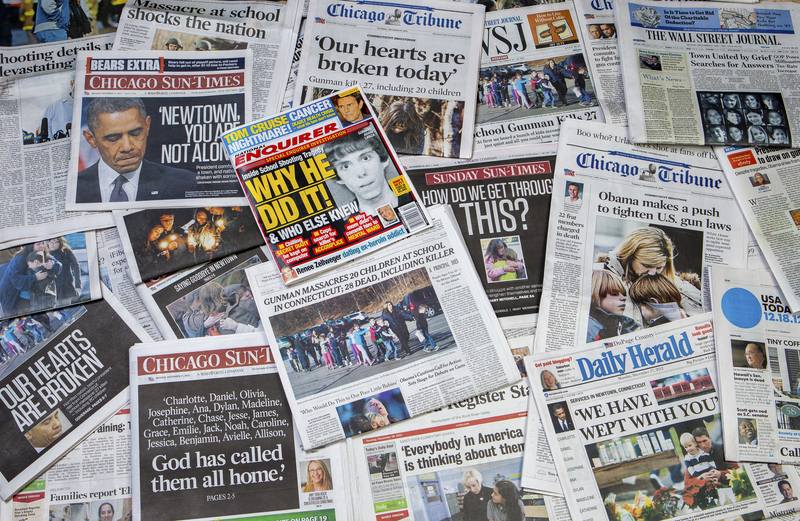 “Once again, the United States finds itself in the aftermath of a mass shooting. This time, however, the stakes are higher and the confluence of factors is more chilling: a perpetrator pledging allegiance to ISIS, a nightclub popular in the LGBT community, the use of an assault rifle typical of other mass shootings, and a death toll that made it the worst mass shooting in U.S. history. The attack comes at a time of great ferment and tension in the air. The presidential primary season is drawing to a close as Donald Trump and Hillary Clinton each claim their respective nominations and where the politics of division confront the politics of inclusion. This utter tragedy aimed to maximize harm to a particular community and the response from many in the U.S. plays to deep fears being propagated about ‘all’ the Muslim community, while in reality it was one man, Omar Mateen, a U.S. born citizen, who was motivated by homophobia reinforced by his attachment to radical Islam and combined with easy access to high powered weaponry. He acquired his AR15 assault rifle and handgun a week before the attack, even though he had been subjected to three FBI interviews for suspected links to terrorism. He also visited the Pulse nightclub several times before carrying out the attack. These facts alone raise serious questions about the quality of intelligence gathering and the low threshold required for buying guns of this nature. Both the ideology and the intentionality of his act against the LGBT community have sent a shock wave around the world. Last month The University of Nottingham welcomed Professor Akbar Ahmed, former High Commissioner of Pakistan to the UK and now the Ibn Khaldun Chair of Islamic Studies at American University in Washington DC as part of a three-day event to build trust between the Muslim and non Muslim communities of Nottingham. His speech was frank about the non-Muslim community vilifying all Muslims and grouping them together as a homogenous radical and terrorist force. He was equally frank in urging the Muslim leaders present at his lecture and those whom they represent to be stronger in their condemnation of all violence being committed in Islam’s name. While the speech and accompanying events did much to start the conversation between these communities here in Nottingham (as other such initiatives have done elsewhere), I fear that the attack in Orlando will once again raise the spectre of extreme discourse, reductive logic, and the tendency towards an exclusionary politics that seeks to fragment our communities, diminish our sense of shared humanity, and emphasize identity and difference over dignity and respect. Equally, the LGBT network of friends and families was hit hard yesterday in Nottingham, as many within the network had either been to Pulse or knew people who had. Nottingham held a vigil last night in Market Square and the University will fly the rainbow flag at half mast this week in a show of solidarity with the fallen in Orlando and in recognition of the deep and global sorrow this act has caused. President Obama was quick to reach out to the LGBT community to offer his condolences and his empathy to the victims and their families. Donald Trump has focused his reaction on radical Islam and Obama’s failure to acknowledge its role in the attack. Obama emphasized the means with which the perpetrator was able to kill so many people, while Trump focused on the motives and took credit for having pointing out the dangers of radical Islam and avoiding the constraints of political correctness in so doing. Hillary Clinton took a middle path and pledged to do more to thwart global terror networks and curb access to high-powered weaponry. The patterns of mass shootings in the US suggest that motives do vary, but that the means do not. The attackers in the 1999 Columbine High School shooting were two disaffected white teens with nihilistic views of suburban life born of a gothic subculture. The attacker in the 2012 Aurora Colorado cinema was a white man with mental health issues and a longing to kill. The attacker in the 2012 Sandy Hook elementary school shooting was an unstable white man with resentment toward his estranged parents. The attacker in 2015 shooting at the Emanuel African Methodist Episcopal Church in downtown Charleston, South Carolina was a white neo-nazi hoping to ignite a race war. The attackers in the 2015 San Bernadino, like Omar Mateen in Orlando, had links to radical Islam. While the profile of these killers varies greatly, the common denominator is the same: easy access to high-powered weaponry. This cocktail of issues – homophobia, radical Islam, and gun control – will now colour the remainder of the Presidential campaign as Americans come to terms with the dangers of domestic terrorism, intolerance of difference, and the ease with which individuals can take innocent lives. The focus on motives will yield policies of exclusion exemplified by Trump’s plan to build a wall along the Mexican border and his reissue of a call to ban all Muslims from entering the US. The focus on means will reopen the debate on gun control, which has hitherto been unsuccessful in the wake of repeated mass shootings.